Our physical vehicles are most definitely ‘Organic Technology’. What has occurred to the programming of our vehicles up to now is a source of much debate. I will not discuss any nefarious intentions that so many talk about because; “It does not matter now”. It is true that the human vehicle has the capability to remain viable for as long as the consciousness inhabiting it needs it. Before the energy of polarity descended on Earth, Humans lived much longer because they were using creational energy properly. They also fell into separation from their higher aspects and lost the knowledge of rejuvenation. Both of these impediments are now receding and the human vehicle will begin to show the effects of this reversal. The focus however should not be on the body or a lifespan. Everyone likes the new car smell and the upgrade in technology that accompanies it; vehicles of embodiment are no different. You do not want to stay in the same shell because as your consciousness changes, so too does the vehicle you manifest. You are consciousness operating a vehicle and you exit your vehicle when you reach your destination. The vehicle changes are normally a result of ascending consciousness and occur between incarnations. The changes are currently being expedited for you by outside energies while you are embodied so that you can move into the new construct comfortably. As we shift (ascend) into the new environment we will no longer be impeded and new abilities will begin to manifest. They will at first appear to be “Super Human” as a select few begin to show the rest of the world what is now possible. The reality is that this is just the next step in conscious evolution now that the energy is there to support your efforts. 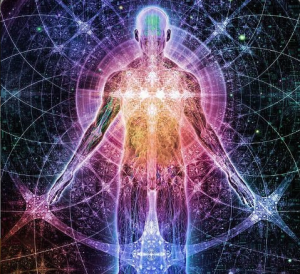 Levitation will not be a special ability in the new construct because the energy of consciousness and the energy of the construct will allow it. However, until you see someone else picking things up with their consciousness and showing you how to do it, it will remain an impossibility.